We started and finished the day off in Belfast, the capital of Northern Ireland. We made five stops throughout the trip, the highlight being Giant's Causeway, and the whole road trip lasted around six hours. Our first stop was the Dark Hedges which took roughly an hour to get to from Belfast. We then visited the Carrick-a-Rede Rope Bridge, Giant's Causeway, Dunluce Castle, and Mussenden Temple before heading back to Belfast. 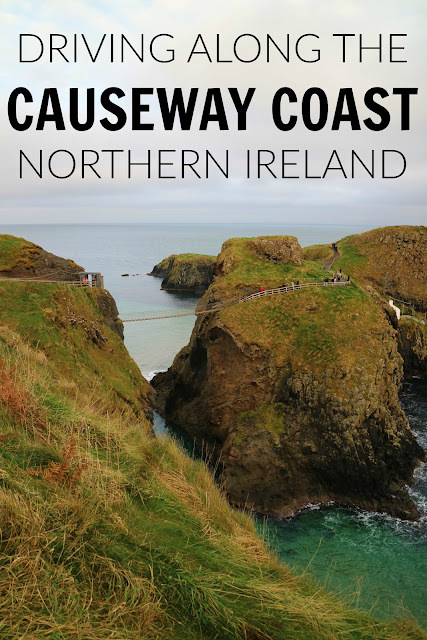 Although not on the Causeway Coastal route, if you're a fan of Game of Thrones you'll want to check this road out. Famous for being the filming location of The Kings Road, it's one of the most photographed roads in Northern Ireland because of its eery, intertwined trees. We visited in the winter (in the morning!) and there were already several people walking along the road taking photographs, so I can only imagine how busy it gets in the peak season. Once used by fisherman during the salmon season, The Carrick-a-Rede Rope Bridge is now a popular tourist attraction along the Causeway Coast. Visitors can park up in the nearby National Trust car park, and then take the short walk along the coast. It costs £7 to cross the bridge to the island, and there is also a small tea-room near to the car park. 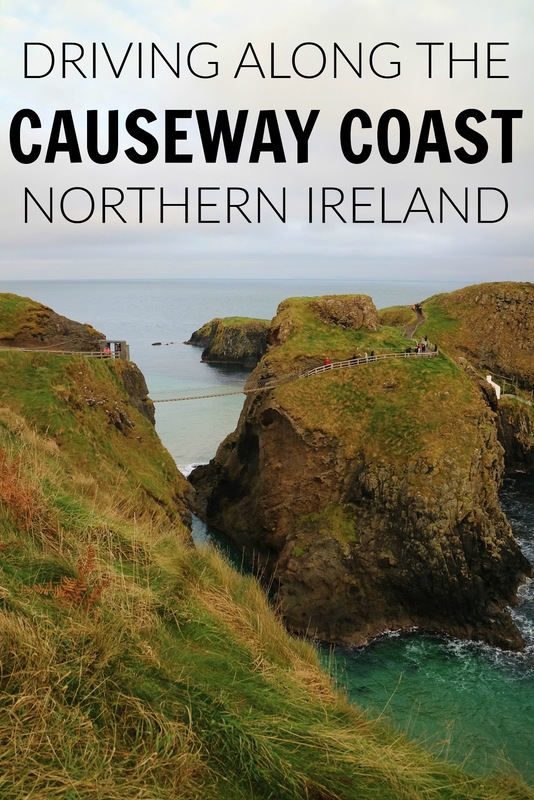 Easily the most well-known landmark along Northern Ireland's coastline is Giant's Causeway. This UNESCO World Heritage Site is an area of hexagonal columns that link together forming stepping stones into the sea. It takes roughly 30 minutes to walk here from the nearest car park, so make sure you give yourself plenty of time to see the area. Top Tip: Although technically free to visit, the National Trust have built a visitors' centre which costs £10.50 per adult to enter and use the car park. If you have no interest in visiting the centre and want to save yourself a few pounds, park up at the nearby Giant's Causeway & Bushmill Railway car park for a fraction of the price. Then walk straight past the visitor centre and down towards the sea. The next stop on our mini road trip of Northern Ireland was Dunluce Castle, another filming location for the House of Greyjoy in Game of Thrones. 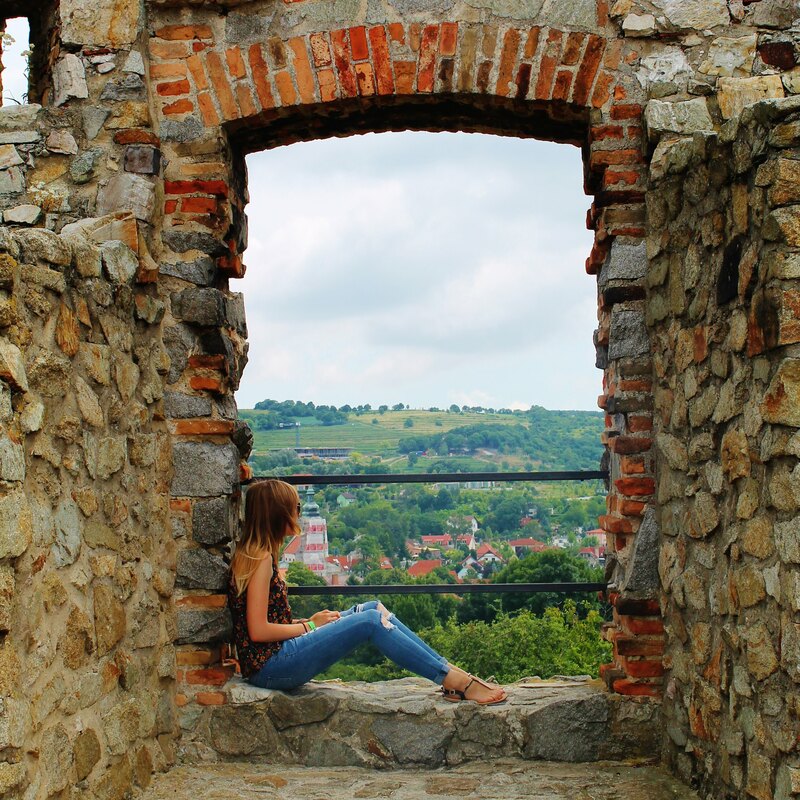 The ruins of the castle are still fairly well preserved, but you don't need to spend long here. A pleasant surprise for the end of our road trip was Benone Beach and the surrounding area. By this point in the day, the sun was starting to set and my camera had died, so the only photograph I have to share was taken on my phone. 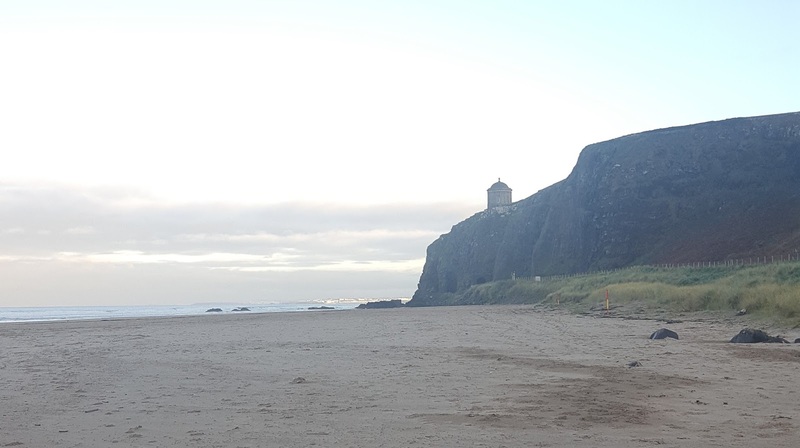 The beach was beautiful with golden sands, and we also explored the nearby Mussenden Temple and Downhill House, an old mansion destroyed by a fire in the 19th century. After this we then got back in the car, and made our way back to Belfast airport to head home.